Venue: The Grand Hotel, Southbay, Scarborough, YO11 2ET. This year we welcome the incorporation of Barbers fully to the event. 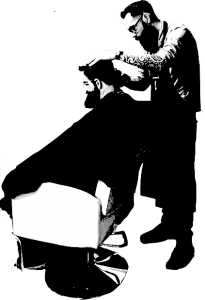 Traditional Barbering and Modern Barbering. Competition Registration desk open from 10am on the Sunday with Competitions starting from 2pm. Barber Competitions will be held over both days. and the finals on the Monday 12th March. plus an evening Banquet in-between. Bragging rites, Prizes and the title of “Yorkshire Barber of the Year” up for grabs. Please ensure your electrical barbering equipment has already been PAT tested and certified before you arrive.